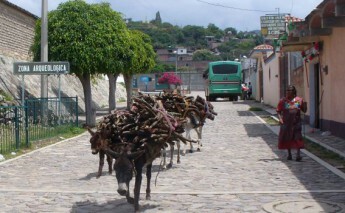 If you believe the back windows of the taxis they drive, the taxistas of Oaxaca are a very moral group. 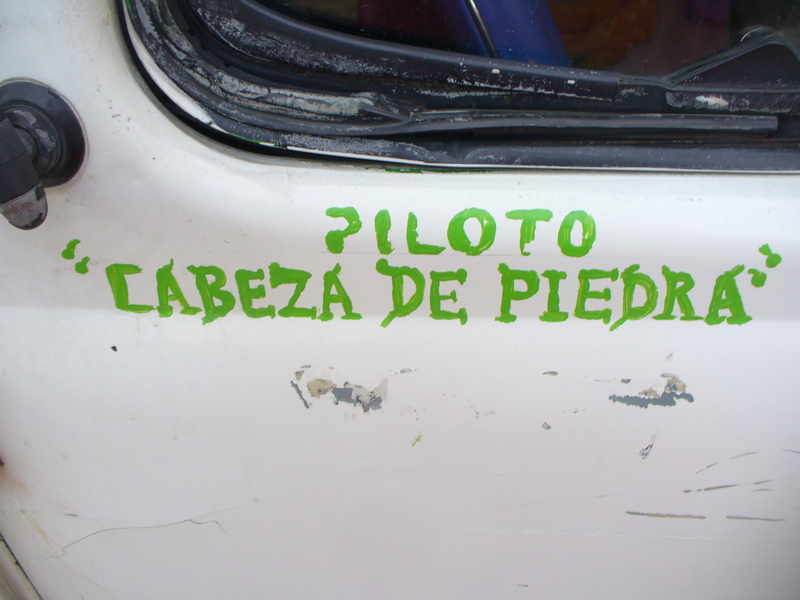 For several months now, selected yellow taxis in the city (not the orange, blue or pink, mind you) have been sporting painted one-word virtues. Like the highball glasses my dad used to have. Though who wants to down a drink while thinking of Chastity or Prudence? 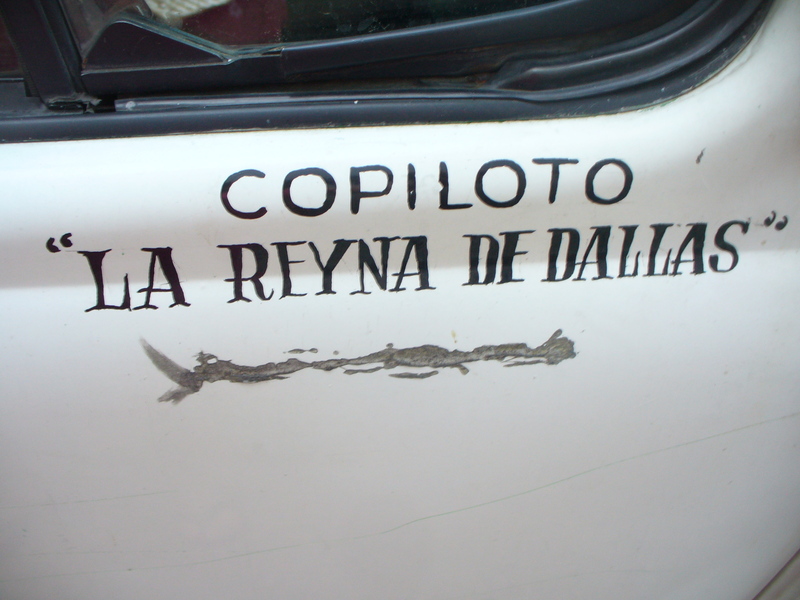 And it’s not just taxis: José’s VW bug now sports Copiloto: La Reyna de Dallas (copilot: queen of Dallas) on the passenger side. Yeah, it’s misspelled: it should be reina.